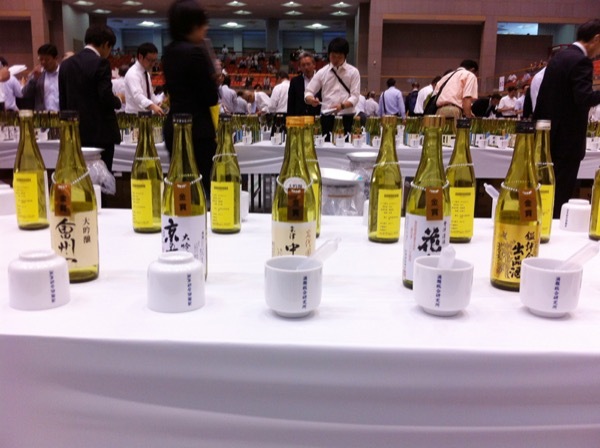 The Annual Japan Sake Awards is the largest nationwide sake contest in Japan. With a history of 100 years, the contest has gained a high reputation. It is held jointly by the National Research Institute of Brewing and the Japan Sake and Shochu Makers Association, and the former used to be the Ministry of Finance brewing test laboratory established in 1904 as a brewing laboratory to train sake manufacturers. The first nationwide sake contest held in Japan was the National Seishu Competition (Zenkoku Seishu Hinpyokai) in 1907 sponsored by the Brewing Society of Japan. At that time, it was held in fall every other year in order to judge sake which was filtrated from winter to spring and was matured through summer. Then in 1911, the Annual Japan Sake Awards was started by the brewing test laboratory, which still continues today while the National Seishu Competition ended in 1950. In the Annual Japan Sake Awards, prizes are awarded to newly brewed sake which have satisfied the certain criteria, and the gold prize is awarded to one of them. This contest aims not just to judge sake but also check it, and examine and research it all over Japan to clarify the manufacturing technology, current sake and sake trends, in order to contribute to the improvement of sake quality. Prizes are announced in May. These entrants can be tasted at “The Annual Japan Sake Award, Manufacturing Technology Contest” (Hiroshima in May), and “Japanese Sake Fair” (Tokyo in June).